Look at this beautiful daily reward gif. Get some coins every day in Curve Fever 3! This ez way to lure ppl into playing everyday won't get me! Awesome! I am looking forward to cf3!!! it's snake egg? And it's daily quest or prize for logging in ? Geert created Curve Fever. His mission in life is to make sure people attend as little lessons as possible at school, and play Curve Fever instead. He started out programming Curve Fever, and now manages the business side of things. 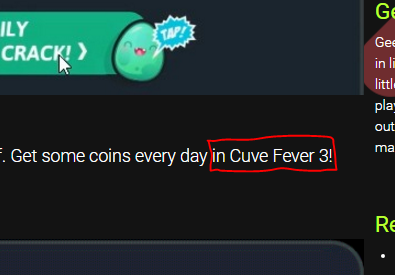 Will Curve Fever 3 have rankings? Question to Developers of the Game.